I learned about UpLift Guided Fitness from an article in Woodbury Magazine and literally carried it in my brief case for months before finally calling them. I was planning on retiring and wanted to make it a priority to lose weight and get in shape in order to make the most of the next phase of my life. The trainers at UpLift create workouts that fit my needs and challenge me every step of the way, not only with exercise but nutrition as well. 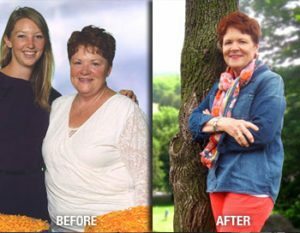 I lost 83 pounds with their guidance and have kept it off for a year and a half. UpLift has helped me change my lifestyle, which has made positive healthy changes in my body. They understand the struggles of losing weight and are there every day to help me move toward my goals. Joining UpLift was the best thing I ever did for myself!